Edited by Francisco J Varela / Translated by B. Alan Wallace and Thupten Jinpa Ph.D. Remarkable convergences between the Western scientific tradition and the Buddhist contemplative sciences are revealed. 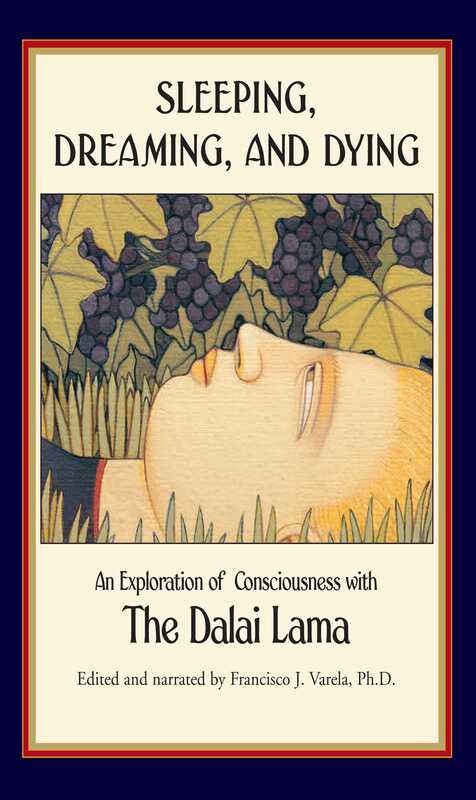 Dr. Jayne Gackenbach's discussion of lucid dreaming, for example, prompts a detailed and fascinating response from the Dalai Lama on the manipulation of dreams by Buddhist meditators. The conversations also reveal provocative divergences of opinion, as when the Dalai Lama expresses skepticism about "Near-Death Experiences" as presented by Joan Halifax. The conversations are engrossing and highly readable. Any reader interested in psychology, neuroscience, Buddhism, or the alternative worlds of dreams will surely enjoy Sleeping, Dreaming, and Dying.